A volcanic lake in an active volcano is certainly one of the deadliest environments on Earth. Yet such a body of toxic acidic water in Costa Rica was recently found to contain microbes, and a Science Daily article states that these hardy bacteria can provide clues to the kind of alien life we might discover on Mars. Laguna Caliente (“hot lagoon”) is a volcanic lake found in the active Poás Volcano in central Costa Rica. It is so acidic that the pH level sometimes hits zero, and the magma running deep beneath the lake often bring the already toxic water close to the boiling point. All in all, the lake looks like the last place on Earth that can support life. It looks more like something from another planet like Mars. The latter resemblance is what drew University of Colorado – Boulder (CU Boulder) researcher Brian Hynek to it. The associate professor said Laguna Caliente resembles the hot springs that formed on the surface of a young Mars. The team published their findings in the April 2018 issue of the science journal Astrobiology. They reported that the highly acidic and near-boiling waters of the Costa Rican volcanic lake can in fact support life – but only one type. The only lifeforms present in Laguna Caliente are bacteria. 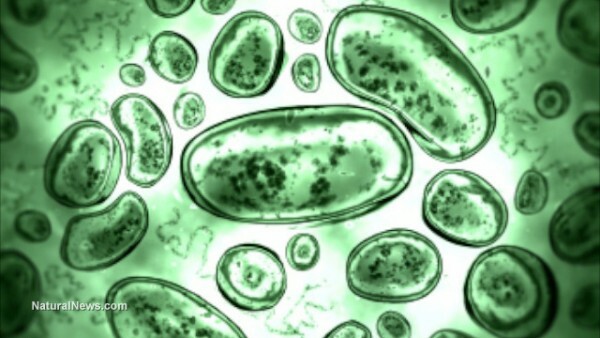 Every single one of the microbes belongs to a single species from a genus that “loves” acidic environs. Hynek remarked that small numbers of life can survive in harsh environments like the volcanic lake, where the sulfur-laden water goes from scalding to boiling to a veritable geyser in just a few hours. He described it as the limit of what life on our planet can survive, given the lake regularly tried to sterilize itself of what little life it did harbor. He added that similar conditions existed on the surface of the young Mars. Therefore, explorers and researchers should not get their hopes up about the Red Planet matching the biodiversity on Earth. When CU Boulder researchers analyzed the water samples from Lake Caliente, they came across the DNA of a microbial species from the genus Acidiphilium. Greek for “acid-loving,” these bacteria can survive in bleak environments. Hynek explained that environments with just a single type of organism are much rarer than a lifeless environment. Normally, an environment that can support life will have a community of several different organisms. Martian life would have survived in much the same way as the Acidiphilium bacteria in Lake Caliente. They would break down iron-rich or sulfuric minerals for food. Hynek has been looking for Earth equivalents of the Martian environment during the early years of the latter planet, a time when liquid water was found on its surface. He said that the period witnessed widespread volcanic activity that filled the landscape with Martian versions of Lake Caliente. Early Mars reportedly resembled Yellowstone sans the flora and fauna. Hynek believed that the Mars 2020 Rover that NASA will send in 2020 should take a close look at such locations for the best chance of finding fossil evidence of alien life on Mars. You can read more articles about the hunt for life on Mars at Space.news.